My eighteenth entry to Norms Thursday Doors. Doors with a history. During the cold war the 32nd Tactical Fighter Squadron (TFS) nicknamed the Soesterberg Wolfhounds was based at Soesterberg airbase. The door is the entrance to the underground Command Bunker of the airbase. Since the end of the Cold War much is changed. The vast complex on top of the bunker is gone and the airbase closed down. No threat of the Soviets anymore. We know better nowadays. Soesterberg Airport is the cradle of Dutch Military Aviation. Today the Dutch ‘Nationaal Militair Museum‘ is based at this location to honour the men and women who served for our country. When you come to visit our country please take a look at the museum. It give’s a stunning view of the long and distinctive history of our armed forces. 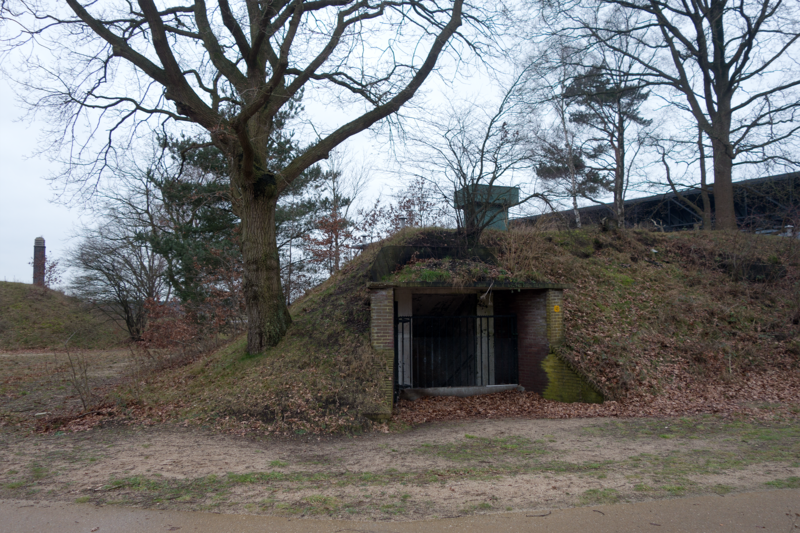 The Dutch base was officially closed on 12 November 2008. We saw similar bunkers in both Italy and Normandy – very stark reminders of dark days indeed. Reminds me of days when I was much younger, Geert, and also to go through my photos of Normandy for some similar doors. I, like Norm, enjoy the history links. Nicely done. I love that you tie many of your doors posts to history.